Sambal is a sauce or condiment typically made from chili peppers and combined with secondary ingredients such as shrimp paste, garlic, ginger, scallion, sugar, and vinegar. Tamarind can also be seen commonly added to sambal to make variations on the condiment. 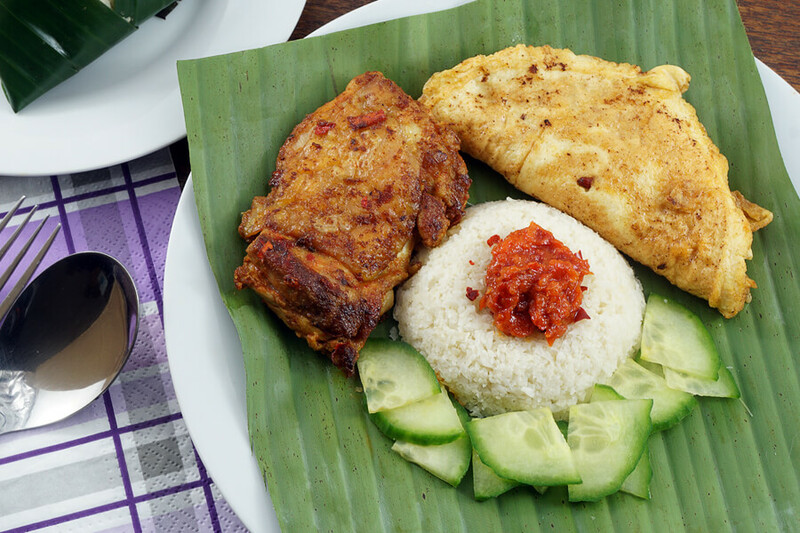 I wanted to keep it simple and prepare a very easy sambal that you can make at home but also re-create an authentic and real taste. Boiling and then blending the dried chilies make a great basic chili paste which can be used in frying cauliflower rice and zoodles or even just some stir-fries. 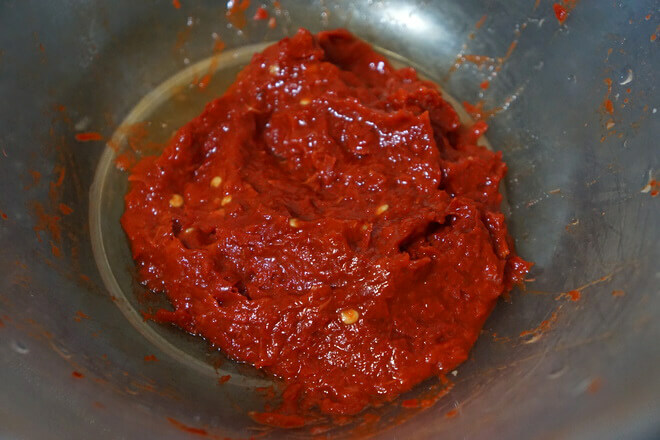 A chili paste itself is not sambal yet. 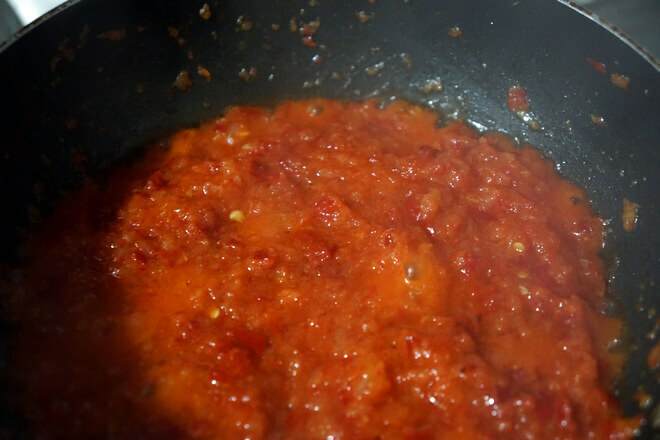 To create sambal the chili paste is blended with other ingredients, and then eaten raw or cooked beforehand. For this specific sambal, we use it in our Ketogenic Nasi Lemak. Remember, the smaller the chili used then the spicier the sambal will be. Make sure that you remove the seeds of the chilis and wash before boiling. Warning: Boiling the dried chilis can be quite aromatic, and might smell weird to some people. So, you might want to open a window to ensure proper ventilation if you find that you’re easily overwhelmed with strong smells. 1. Roughly chop 1 large onion and blend until smooth. Set aside. 2. 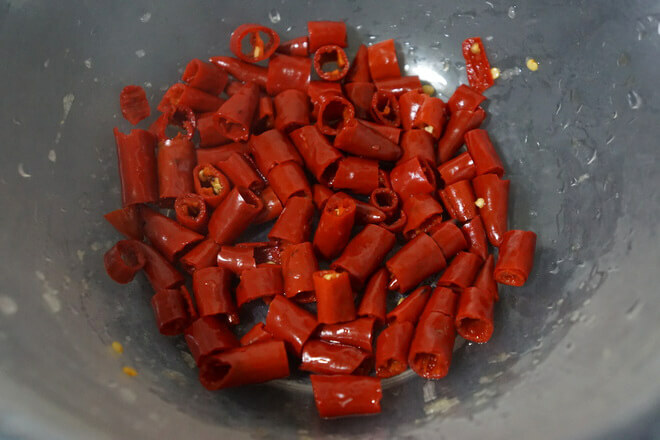 To prepare chili paste, roughly cut the dried chilis and remove seeds. Boil them for about 30 minutes or until soft. 3. 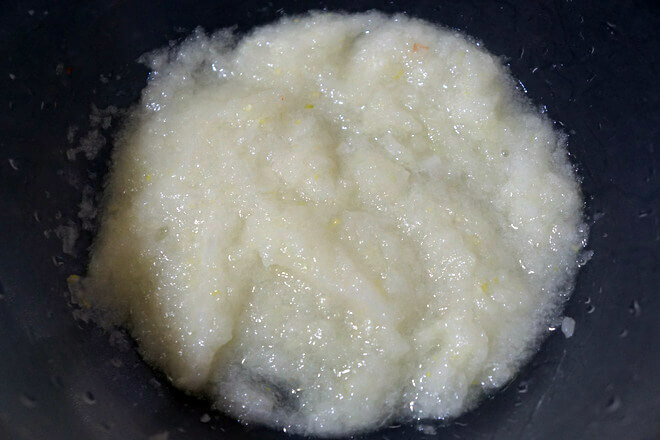 Once soft and cooled, blend to a paste. 4. In a pan on medium heat, melt 2 tablespoons coconut oil. Once it becomes hot add in the blended onion, chillies, 3 tablespoons reduced sugar ketchup, and salt. Let simmer for a few minutes until the oil separates from the sauce. Optional: add in 1-2 drops Liquid Sucralose or any other sweetener. 5. Use this sambal as a sauce or a cooking seasoning in future recipes! 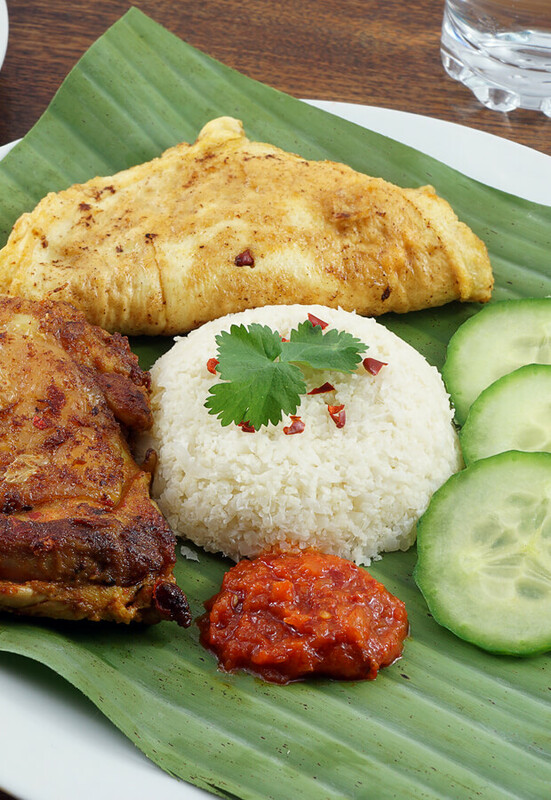 This sauce is featured in the Ketogenic Nasi Lemak recipe. This makes about 10 tbsp. of Sambal. Each tablespoon comes out to be 35.76 Calories, 3.1g Fats, 1.68g Net Carbs, and 0.37g Protein. Chop onion and blend until smooth. Set aside. Cut dried chilis and remove seeds. Boil them for about 30 minutes or until soft. Once soft and cooled, blend to a paste. In a heated pan, melt coconut oil. Once hot, add in all of the ingredients. Optional: add in 1-2 drops Liquid Sucralose.